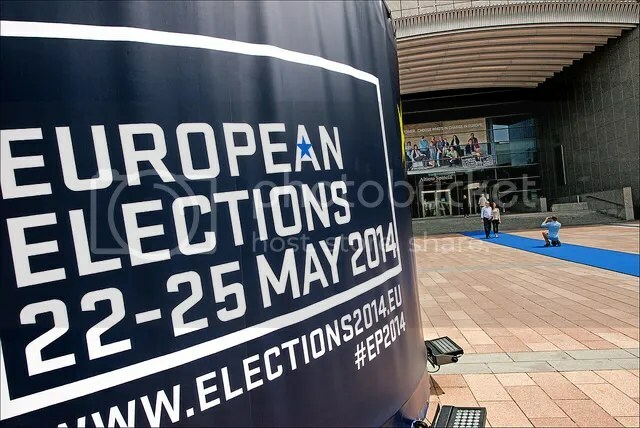 On May 25, the European Union parliamentary elections ended with a rather unpleasant, albeit unsurprising, outcome. Four hundred million voters in 28 countries voted and ultimately determined who would fill the 751 seats of the European Parliament in Brussels. As the European Parliament’s official website shows, moderate left-wing and conservative parties still hold a majority of seats in the European Parliament which will affect the appointment of the European Commission’s next President. Nonetheless, right-wing parties and other groups opposing the EU are gaining ground as Simon Usherwood, an expert on European politics at the University of Surrey said in an interview with CNN. Usherwood points out that these parties will not have enough political power to influence legislation. However, they will get “the time for speaking in debates, the chairmanship of certain committees, which means that they’re going to have much more of a platform on which they can sell their message to voters,” Usherwood told CNN. Analysts and European politicians predicted an upsurge of support for the protest parties as a result of the continuing effects of the euro crisis. Parties like the Alternative for Germany (AfD) – a newcomer in the German and European political arena – utilize the growing frustration with the euro and economic situation and call for the dissolution of the monetary union. They also demand the return of border controls and decreasing the power of the European Parliament in favor of national decision-making processes, similar to the demands of the UK Independence Party. Despite this trend that spread throughout many of the EU member states, there were some countries, like Italy, who fought off the skeptics and populists. Italy’s Prime Minister Matteo Renzi and his governing left-wing Democratic Party (PD) came out of the polls ahead of Beppe Grillo’s Five-Star-Movement with 33 percent compared to 26.5 percent. Grillo has shown quite as much anti-European sentiment as Berlusconi, whose own party, Forza Italia, could only achieve meager 18 percent. The strongest faction in the European Parliament is the European People’s Party (EPP) which gained 213 seats, followed by the progressive alliance of Socialists and Democrats (S&D) with 190 seats. It is likely that both groups will join in a grand coalition, as was done in Germany following the outcome of the recent national elections last September. It remains to be seen how the election results will affect politics in Brussels, as well as on the individual national levels. Last Thursday, about 4,000 students rallied in Paris against the National Front, and smaller rallies took place in Toulouse, Bordeaux, Nantes and outside of the European Parliament in Strasbourg. Now, the moderate parties will have to join forces and listen more carefully to the public’s demands to avoid alienating their constituents and ultimately giving populist and right extremist movements a bigger platform and more influence. The far right parties are the strongest in countries such as England, France and Denmark. Aside from the alarming result indicating a growing support for so-called Euroskeptic parties, there is a silver lining. Those parties will have a hard time joining forces as the only issue uniting them is their dislike of the EU as an institution. Nonetheless, Brussels has shifted notably to the right and there are now higher expectations for reforms to stabilize the euro and solve the ongoing crisis to counteract this trend.